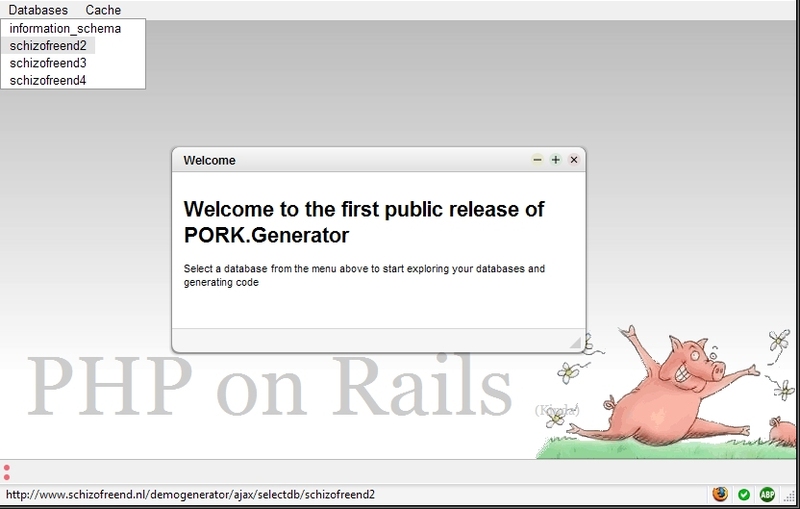 Pork.Generator is a webbased tool to inspect your databases and generate Pork.dbObject based code. 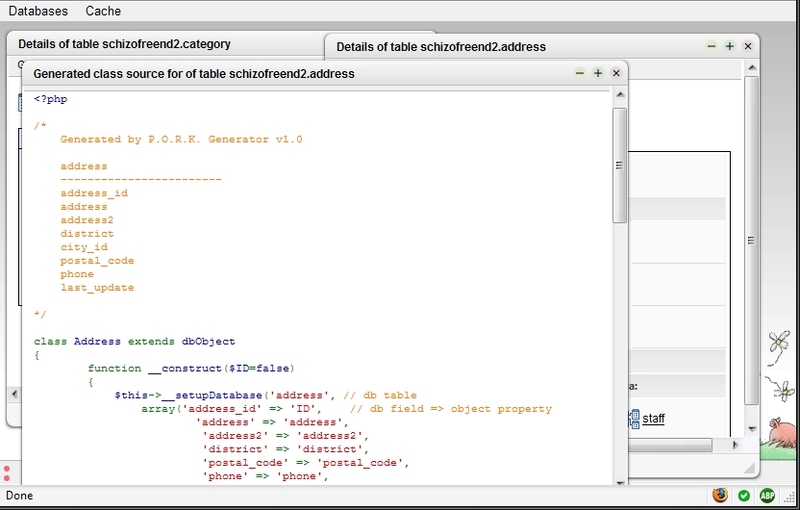 The generator analyzes the relations in your database, by trying to match primary keys to fields of other tables. 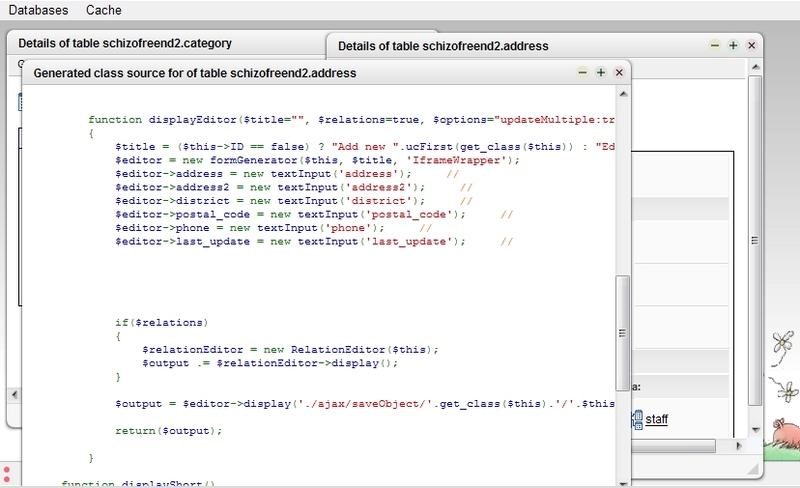 If you have created your table structure following some simple rules, this project can either create a complete CRUD (Create, Read, Update, Delete) interface into a .zip file, or just output your complete database schema into O/R mapped objects. * Interface generation is completely customizable. You can include your own stuff and work in your own favorite way! 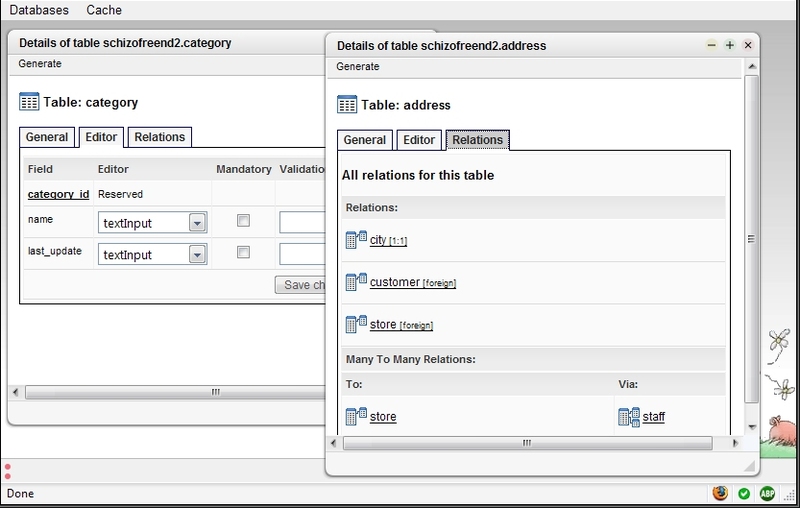 * For now relations in Pork.dbObject are based solely on the case sensitivie naming of properties with a PRI flag in MySQL. 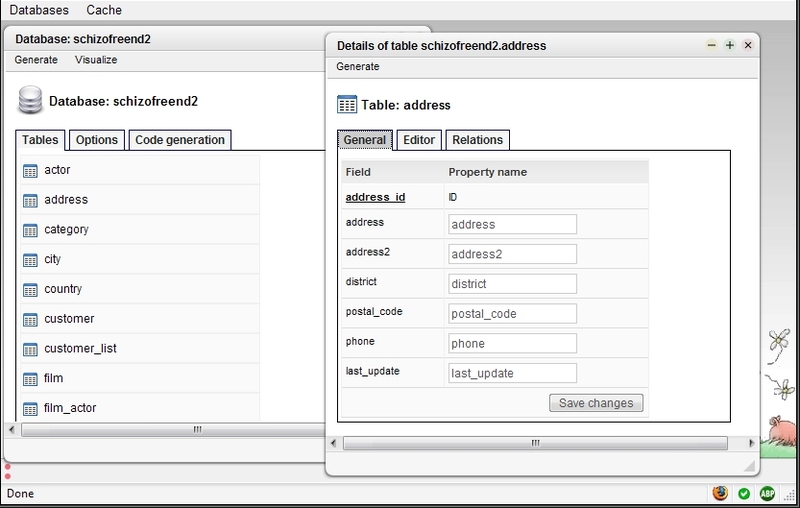 * There is no analysation of any MySQL-defined relations or foreign keys, and relations in the form of tableA.ID + tableB.tableaID are not supported. This will be added in future versions of Pork.dbObject and the generator. * The code behind the VirtualObject and ClassGenerator in the analyzer needs major rewriting to allow for more simple plugins, but it just works, and has done so for the last 2 years, so I decided to release it.